Age 34, the beautiful Hollywood actress, comedian, Cecily Strong had a boyfriend named Michael Patrick O’Brien who was her co-worker at the show, Cecily's life, affairs, marriage, rumors, life. 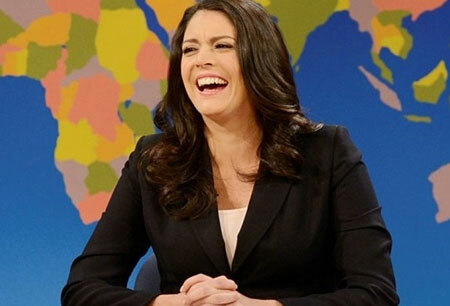 Staring her career in theatre and getting inclined to comedy at a very small age, comedian Cecily Strong is best known for appearing on Saturday Night Live. "Absolutely. It’s probably stupid" says the comedian after dating her co-worker for several years. How is she holding up to her life since then? Has she found someone whom she really wants to be with? Well, let's get to know about the comedian's love life here today! Dating A Co-Worker, Cecily Strong and Michael Patrick's Story Behind The Camera! Cecily Strong is keeping her personal life away from the eyes of the public and media. The comedian is a little secretive when it comes to her love life. She has been behind the curtains when talked about her love life. Is Actor Colin Jost Married? Know about his Girlfriend and Relation. But well, if not now, she was previously linked with her SNL co-worker Michael Patrick O’Brien who initially served at SNL as a writer and featured in 2014 season of the show. Rumors started swirling about their romance in 2014 when they were fellow partners. "Absolutely. It’s probably stupid. But I got the okay from my dad, who is a business professional. It happens. The good thing is I never feel like I’m complaining or talking about my job too much." Nevertheless, there has been no news about the couple lately so we can assume that they have already parted their ways but the detail about their split is still not confirmed in front of the media or the public. The 34-years-old star is active on her Instagram and updates about her daily life to her fans. She has been enjoying her successful professional life and let us hope she get a partner in her life pretty soon. 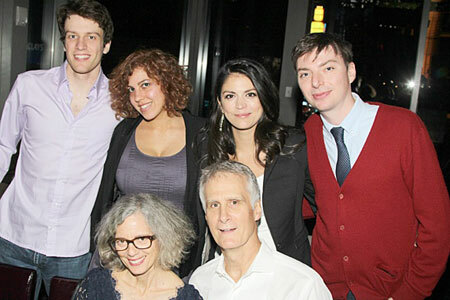 Cecily Strong's Rise To Limelight! Strong started her career by performing in various theatre groups including The Second City and iO Chicago. The comedian debuted in SNL as a featured player on September 2012. She then co-anchored with Seth Meyers and Colin Jost at the show. Her character in the show features an idiotic and ditzy activist known as "The Girl You Wish You Hadn't Started a Conversation With at a Party", named Dana. She has done numerous celebrity impressions including Khloe Kardashian, Kendall Jenner, Ariana Grande, and several others. Her work at the SNL has received huge feedback from the critics which sure will get her to higher places. Despite her work in SNL, she has also featured as an entertainer at the 2015 White House Correspondent's Association dinner taking digs at several organizations. She was born on 8 February 1984. Her birthplace is Illinois, US. She went to the California Institute of the Arts. She first played the role of a lawyer when she was in sixth grade. Her full name is Cecily Legler Strong. Her parents are Bill Strong and Penelope Strong. Stands at the height of 5 feet 7 inches and weighs about 55 kgs. Her net worth is estimated to be around $1 million according to Celebrity Net Worth.